Chinese President Xi Jinping says the international community needs to build consensus to solve growing tensions over trade, in remarks ahead of a high-stakes sit-down with U.S. President Donald Trump this week. China and the U.S. have leveled over the last year a series of tariffs on hundreds of billions of dollars of imports from one another. Spain has rolled out the red carpet for visiting Chinese President Xi Jinping, who is seeking global allies amid souring trade clashes with Washington. 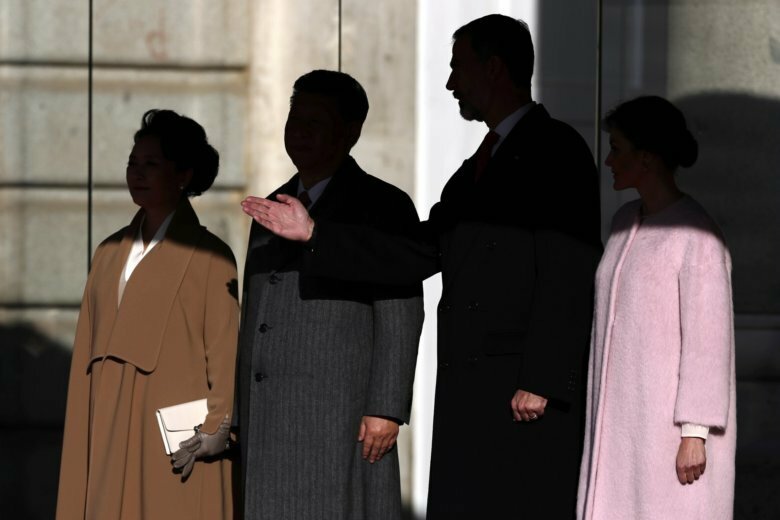 Xi and King Felipe VI have reviewed Spain’s guard of honor at the Royal Palace in the Spanish capital while Chinese First Lady Peng Liyuan and Spanish Queen Letizia observed the ceremony from a podium. Xi is scheduled to meet Prime Minister Pedro Sanchez later Wednesday and both will preside over the signing of around 20 government and business agreements, including a deal to export on-the-bone legs of Iberian ham to the Chinese market. The Chinese leader follows his two-day visit to Spain by flying to Argentina on Thursday for a G-20 leaders’ summit the next day, and visits to Panama and Portugal until Dec. 5.